Australia Walkabout Wildlife Park was originally called Calga Springs Sanctuary. The sanctuary was the dream of the previous owner and founder, former Federal minister for the environment, Barry Cohen and his family. Obsessed with saving Australian wildlife from introduced species, Barry and his youngest son, Adam, laboured long and hard to create a natural environment where Australian animals would be safe and visitors could wander through the bush and enjoy our native wildlife. In September 2005, Barry sold the park to Tassin and Gerald Barnard. Barry retired to a little town near Canberra to follow his many other interests. Here follows two articles that tell about Barry's life before and after Calga Springs Sanctuary. 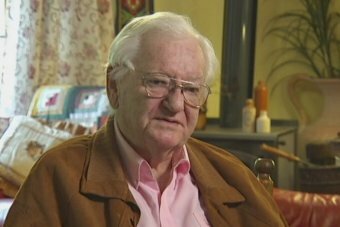 A Hawke government minister who used his political connections to lobby for a cure for Alzheimer's disease has died at age 82. Barry Cohen spent 21 years in Parliament, including four as a minister, and was shocked to be diagnosed with the disease several years ago. Several falls led to a diagnosis that he said he was reluctant to accept. "I had another fall and another fall and so they put me into hospital and said, 'We think he has got early stage of dementia'," he told 7.30 at the time. "I'm more doubtful about the diagnosis but I'm prepared to accept the fact that it is, and everybody who knows me from former prime ministers down through the years has said: 'What the hell are you doing here?'" He quickly realised he was among 330,000 Australians living with dementia. That number was set to triple by 2050. And he realised he could be a voice for them. "People like me get it and we get others excited and then the media get onto it and then, bingo," Mr Cohen said. "We've got to get serious about this at the top level, and I am not talking about Labor or Liberal — they are both the same, they are just becoming aware that we are facing a real crisis and we have to act now, because in 20 years' time there won't be 300,000, there will be 900,000 and maybe more. "We don't hesitate about spending hundreds of millions of dollars on a submarine, for God's sake. "I'd rather have a few thousand people alive than a submarine. "Drive your local member mad — they didn't mind driving me mad." Opposition Leader Bill Shorten paid tribute to Mr Cohen's record in Parliament, as well as his tenacity. "Barry tackled [Alzheimer's disease] as a policy challenge, not a personal struggle," Mr Shorten said. "He did not go gentle in that good night, instead he took up the fight on behalf of every Australian living with dementia, urging politicians from all sides to deliver a better deal for older Australians." After leaving politics, Mr Cohen wrote several books about his time in Parliament and penned columns for The Bulletin and The Australian. The following transcript from The World Today, a program broadcast around Australia on ABC Local Radio, tells the story of the origins of the park. ELEANOR HALL: Barry Cohen is a man who knows a feral animal when he sees one. He was Labor's Federal Minister for the Arts, Heritage and the Environment, and his post-parliamentary career has seen him write six books, mostly wry humour, about our feral political condition. But he's about to begin a new venture dealing with real, live animals, feral and otherwise. Mr Cohen has plunged his life's savings into building Calga Springs Wildlife Sanctuary near the central coast electorate he held as an MP just north of Sydney. Behind a two metre electrical fence, local and endangered native animals will be protected from feral cats and other predatory, introduced species like foxes. Belinda Sommer has our story. REPORTER, Belinda Sommer: Barry Cohen has spent every cent he has on the park - his parliamentary pension, the proceeds from the sale of his Sydney menswear shop, book royalties - and he's soon to sell the family's central coast home to build another inside the sanctuary. The idea for the predator-proof sanctuary crystallised thirteen years ago when he was dumped from the Hawke Government. BARRY COHEN: Just towards the end of my period as Minister for the Environment, we'd noticed the cats coming in at regular intervals bringing in gliders and possums and bandicoots and birds. And at first we were sort of mildly amused, and then I said to my wife one day, "If our two are doing all this damage, what are the rest of the millions doing? ", and I said, "What would they think of the Minister for the Environment as a sort of major destroyer of wildlife?". So, you know, when I ceased to be Minister, I went to the parliamentary library and I said, you know, "Give me everything you've got on feral animals". And I sat down and I read a pile of it and I was just amazed, because the evidence was overwhelming that the great destroyer of wildlife are fox . well, feral animals, and foxes and cats in particular; and that, you know, loggers and developers and farmers and miners had certainly done damage - quite a bit, particularly the land-clearing - but the really dangerous one was foxes and cats. And yet, in the four and a half years I was Minister for the Environment, not once did anyone . not my department, not a conservation movement, not any individual, not the scientific community . did they come to me and say, "Minister, what are you doing about feral animals?". And I sort of got sort of upset about it, because when I was in a position to do something, I did nothing through ignorance. REPORTER: In 1991, he paid a visit to Australia's most famous cat hater, John Wamsley of Earth Sanctuaries, who's had enormous success in breeding endangered wildlife inside his enclosures. It confirmed for Mr Cohen that he was on the right track. Since culling all the foxes and cats at Calga Springs, there's been an increase in small ground-dwelling animals, gliders, birds and reptiles, swamp wallabies and bandicoots have been reintroduced, and the park could be involved in a specialist breeding program of the bridled nail-tail wallaby. BARRY COHEN: What we're hoping to do is to change people's attitudes to feral animals. And if their attitudes changes - and they are changing - they will put pressure on governments to take action. And we can't solve the problem by having hundreds of little fenced-off areas, we've got to attack the problem outside of just sanctuaries like this, and governments are the only thing that can do it. I mean, there was a time, not so terribly long ago, when there was a bounty on foxes' skins, and suddenly it became non-kosher to have fox skin. I mean, I think every woman who wears a fox fur in Australia ought to get an Order of Australia with it. You know, we've got to have some common sense. We have this crazy situation where we don't allow people to own pets of native wildlife, but we allow them to have pets that kill native wildlife. There's an Irish solution to the problem. REPORTER: Barry Cohen says governments are hostage to animal liberationists and that, publicly, our leaders are too sensitive in dealing with Australia's feral problem. BARRY COHEN: If we're going to get rid of foxes and cats, unfortunately we have to cull them, which means we actually kill them. Privately, they'll all agree with you, but I've never heard them come up and say, "Look, this is a major problem". I would put it up with, you know, the salination of the river systems and with land-clearing. I would put feral animals as at least in that top bracket of priorities. JOHN HIGHFIELD: Barry Cohen, speaking with Belinda Sommer.